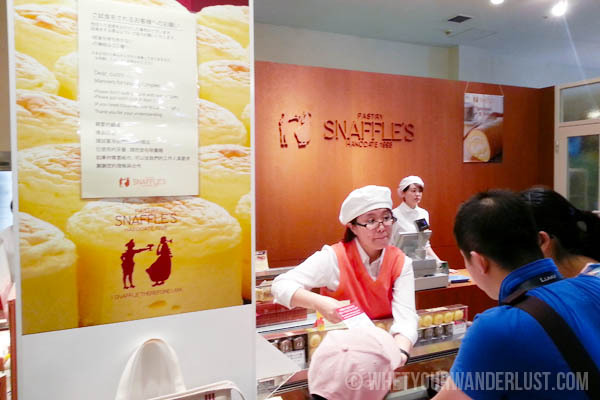 Snaffle’s is something of a Hokkaido institution. It’s a relatively new Japanese patisserie, having only been established in 1998, but one that has developed a rather loyal following with outlets in the north of Japan (Sapporo and Hakodate), along with two branches in Singapore. 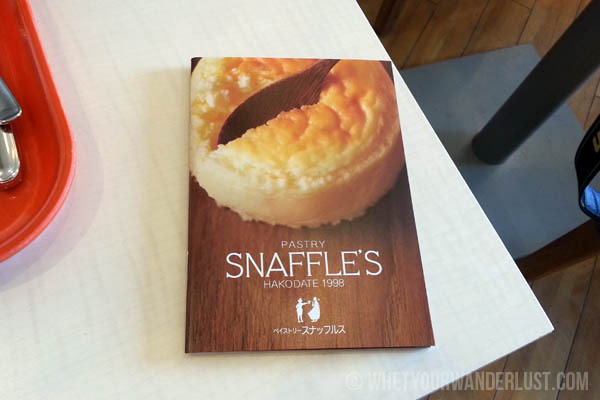 While visiting Japan’s port city of Hakodate, I visited the Snaffle’s outlet in the Red Brick Warehouses in Kanemori. The specialty at Snaffle’s is their bite-sized cheesecake (which they also inexplicably call a catchcake), a diminutive 2 inches tall and 3 inches in diameter. There’s a delicate sponge cake on the bottom with a super-light, melt-in-your-mouth baked cheesecake on top. They also had a chocolate version for the chocoholics. The milk they use is farm-fresh (thick with floating milk fat, as they describe on their website), they developed their own cream cheese, and they use a special variety of egg called “Salad Mood.” How could one resist?? Though I was cheesecaked out having overdone it with the Fromage Double at LeTao the previous day, I couldn’t pass up the opportunity to savour a treat at Snaffle’s. This was their No. 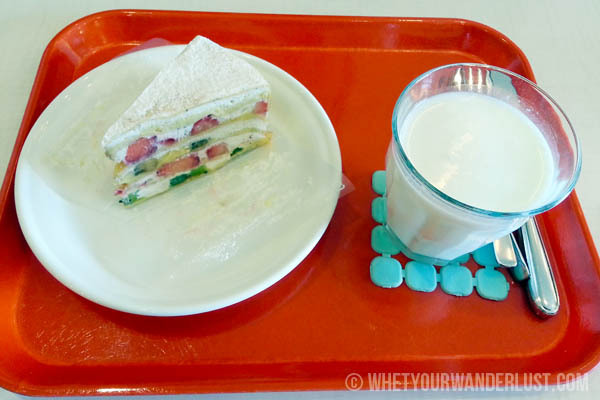 1 dine-in recommendation – a crepe cake, the Snaffle’s take on the fairly common Japanese cream cake. Heavenly layers of crepe, custard and cream, layered with chunks of strawberry, banana and kiwi. I highly recommend getting your Snaffle’s fix on this. Just make sure to wash it down with an icy cold glass of super creamy Hokkaido milk.